We have a reminder for readers out there: our next book club meeting is tomorrow at 7 at the Pierson Library in Shelburne. 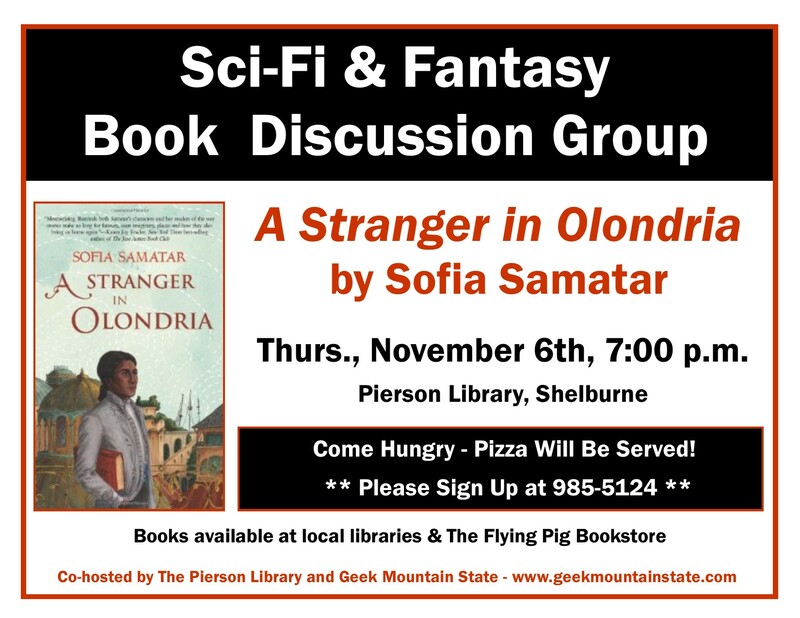 We’ll be discussing A Stranger in Olondria by Sofia Samatar. Hope to see you there! This entry was tagged A Stranger in Olondria, Sofia Samatar. Bookmark the permalink.